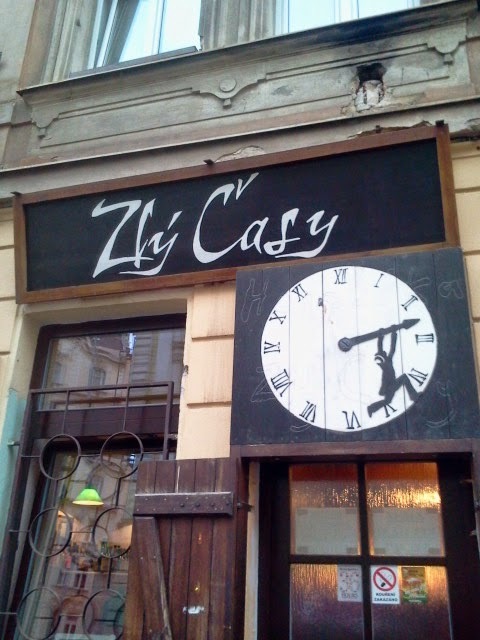 I wasn't sure exactly what to expect from Zlý Časy before going. It was far enough out of the tourist area of Prague to keep people away, but the 48 taps are enough to drag beer lovers for quite some distance. It was around 4 pm when we arrived, and I wanted to walk around the place for a moment to get my bearings. I was under the impression that the bar was divided between three floors, but it was actually two bars on the main floor and a cellar. There is a bar to the right when you first walk in and a few tables. If you walk down a few steps you can either head down further into the cellar or into an area with larger benches and more tables. 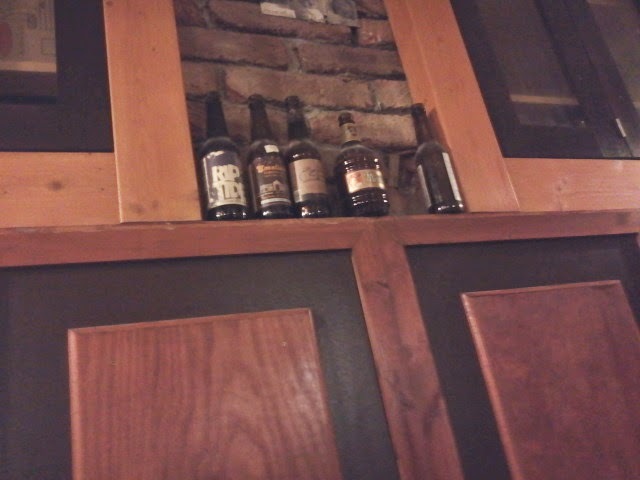 Each of these areas has its own bar with different draft options. I decided to start my beer adventure in the cellar. I was surprised how virtually every table except for one had a reserved sign on it. Apparently this place was going to get quite full around 7. I found possibly the last open table and sat down to look over my options. All the bartenders seemed to have ample beer guts, so I was under the impression they had been sampling the wares and would have some decent recommendations. Luckily one of the guys down there spoke fluent English. I asked if there would was a Witbier, Saison, or something easy to start with for my lady. Unfortunately I found some of his ideas of possible beers to try not quite in line with how I would go such as the Aecht Schlenkerla Rauchbier was only lightly smoky or that the FALK:ON Imperial Stout would be easy to drink. This is not a big deal as I imagine most people who come here have a decent idea of what they will be looking for, but it still struck me as a bit odd. 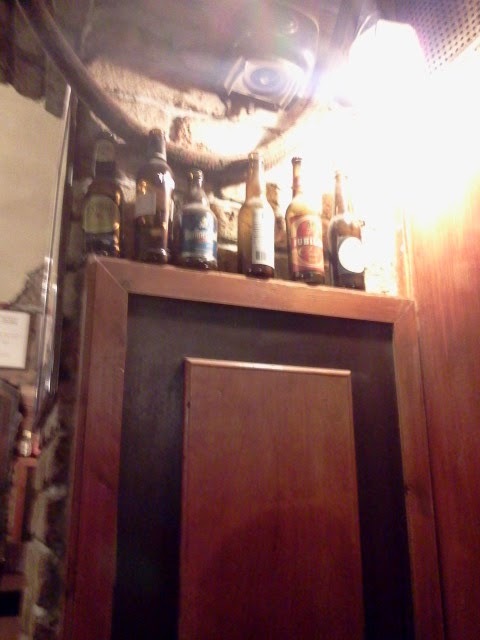 We ordered some beers and sat back to take in the chill atmosphere of the dusty cellar. It was definitely relaxed and quiet, but I could imagine that on a weekend night this place could get quite loud. I started to like this place more as I sat there. I was planning on trying drafts from at least one of the other bars and the bartender told me it would be good to just stay at our table in case there were none free in the rest of the bar. I could just go, order, pay, and then bring them back to my table. I would settle my tab for the downstairs bar at the end. The longer I sipped beer the more people trickled in, sometimes disappointed at the lack of free tables. More workers arrived and food began filtering out of the kitchen. I was under the impression that this place was much more of a bar than a restaurant, but apparently many people were there to eat. 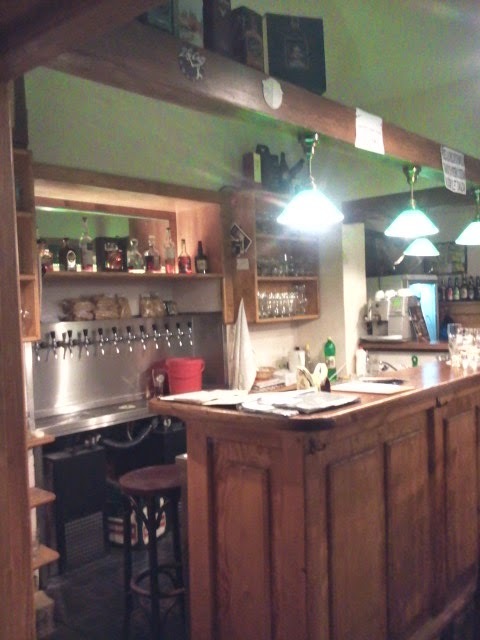 The menu consists of traditional Czech main dishes and beer food. The prices are on the cheap side so it would be worth trying the food here, and I would have if I didn't already have plans for dinner. Unfortunately I could only imagine the tidal wave of ipa crashing against the shore of dumpling. 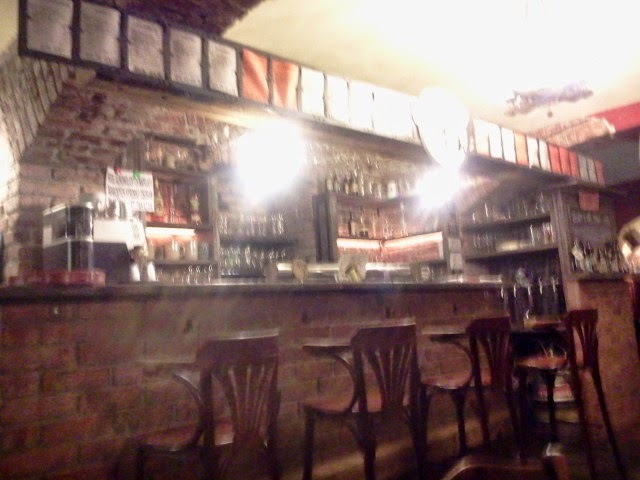 I definitely liked this place, and if I lived in Prague I would come here regularly. The selection of draft beer was a good mix of Czech, German, Dutch, English, US, and I would imagine some Belgian although I didn't see any on the menu while I was there. 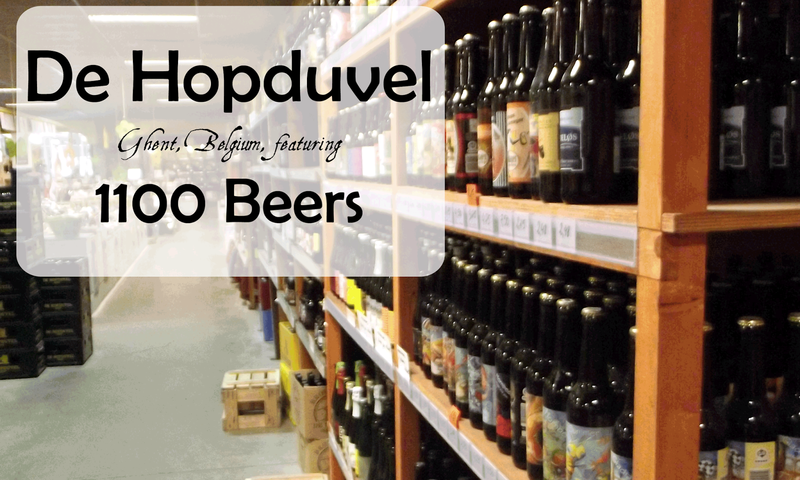 The bottle selection boasts the same countries but with a larger variety of beers from Belgium and the US. 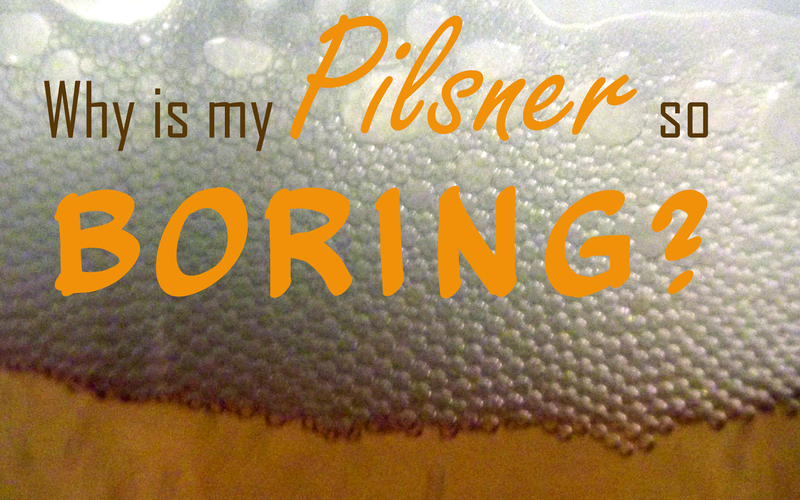 This is a wide enough variety of beer to interest just about any beer drinker. Reasonable prices help to make this place even more attractive. The service despite some odd recommendations was friendly and prompt. Considering it is just a short tram ride out of the center of Prague makes this place a must visit.